Santiago, originally named after England’s King James II, was the second visited island by Charles Darwin. 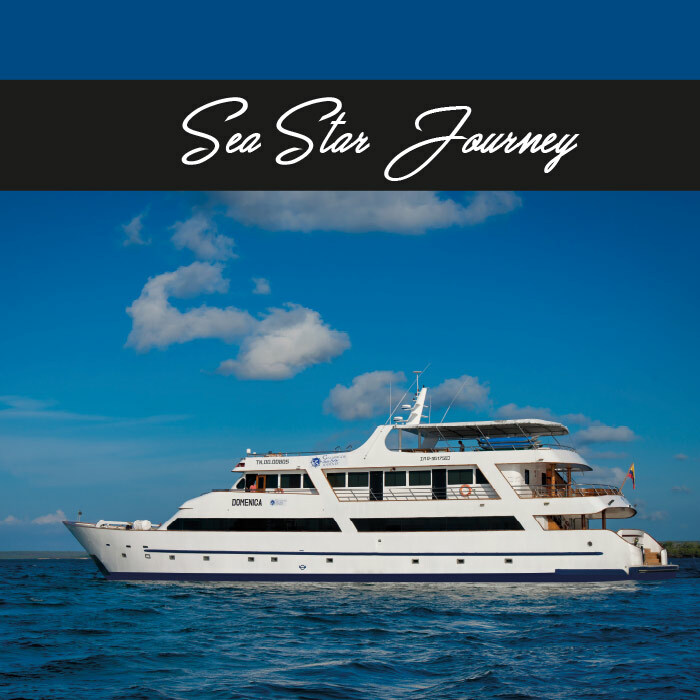 Santiago is visited by the majority of tourist boats with wonderful visitor sites at James Bay and Sullivan Bay on the southeast. 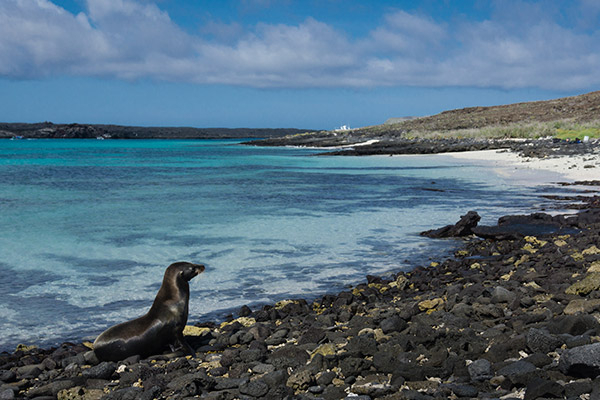 Puerto Egas at James Bay provides one of the best opportunities to see the Galapagos fur seal. The focus of conservation work on Santiago in the last decade has resulted in rapid recovery of much of the vegetation and many of the native species. In addition, Santiago has several satellite islands especially in the southeastern side of the island. Two of these being Bartolomé and Chinese Hat while others provide excellent dive sites. Santiago’s history of introductions and exploitation of natural resources is most similar to the inhabited islands. This is due to the mining companies in the 1920s and the colonization attempt in the 1930s. Introduced plants, some arriving with the colonization attempts, have also spread throughout the island. By the establishment of the National Park in 1959, the giant tortoise population of Santiago had been reduced to some 500 animals, with a predominance of males. Nesting was generally unsuccessful due to predation by pigs. Luckily, the Santiago tortoises were soon included in the tortoise rearing and repatriation program; rock walls were also built around their natural nests to protect them from pigs. The challenge today is to ensure that this population continues to survive in spite of the presence of the invasors. There are three visitor sites at James Bay. Espumilla Beach on the north end of the bay is a sea turtle nesting site. Its trail is full of surprises such as the small seasonal lagoon, which was created due to mining in the 1960s, where flamingos and white-cheeked pintail ducks may be seen. At the southern end of the bay is Puerto Egas where two separate trails take off, the first along the coast to the fur seal grottoes and the second inland to the Salt Mine Volcano. The inland trail is approximately 3 km long and ends at the top of the salt mine crater. The Sullivan Bay visitor site provides a unique opportunity to walk across recent lava flow, formed in the second half of the 19th century. The trail at Sullivan Bay crosses relatively flat, black pahoehoe lava, dotted with pyroclastic cones. Along the inland section of the trail, older, reddish-yellow-colored tuff cones stand out in the middle of the lava flow. Tiny Molluga plants can be spotted growing out of the fissures as they begin to colonize this barren terrain. Although there is little wildlife to speak of and lava is the main focus of the visit – don’t forget to bring your camera! How to visit the Island?